Physician Assistant CME Course, AAPAEarn AMA Category 1 and AAPA-approved CME credits. PRO Career Value Bundles - Stop the MOC Pain! 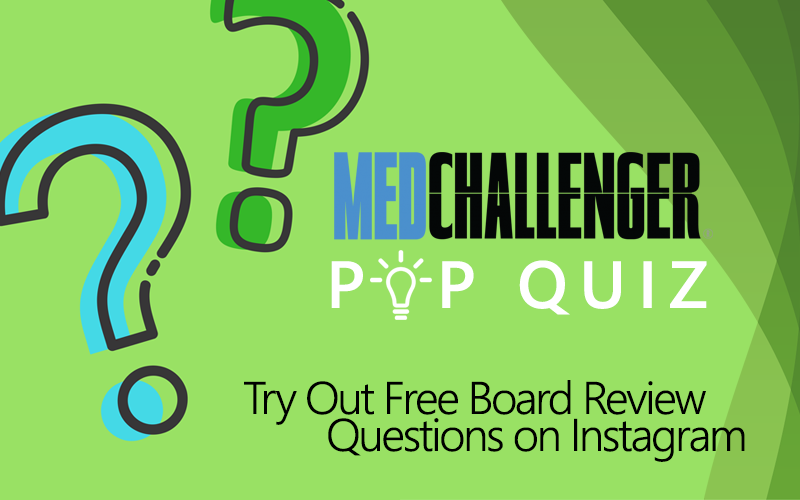 Test Your Knowledge with Free Board Review Questions Through Med-Challenger’s New Instagram Pop Quiz! 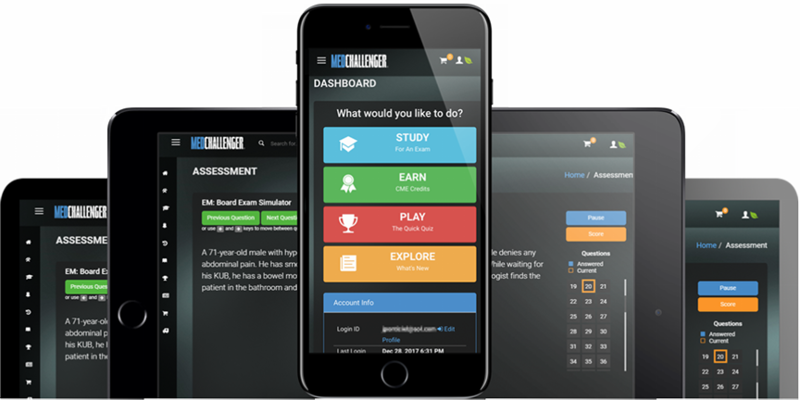 Med-Challenger’s wildly popular, 100% free Quick Quiz, offering weekly board review questions for physicians, PAs, nurses, and students, has a brand new iteration – on social media! 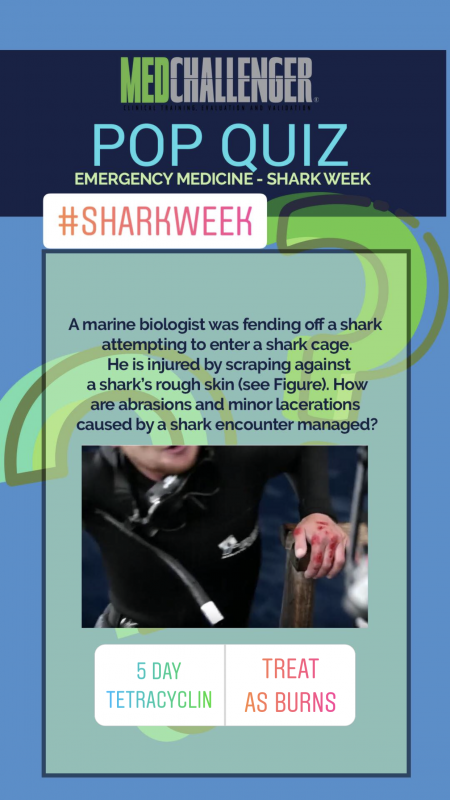 Join us on Instagram to participate in our new Med-Challenger Pop Quiz. To access our new Pop Quiz, simply follow us on Instagram and check out our “stories”. We will periodically share hand-picked, challenging, case-based board review questions covering a wide range of medical specialties. You know the drill – When you see a story from Med-Challenger, open it up and hold your finger down on the screen to read the question. When you’re ready, move on, select your answer choice, and see how you did. It’s a quick and easy way to work in a bit of study time while simultaneously snooping your pal’s vacation selfies. 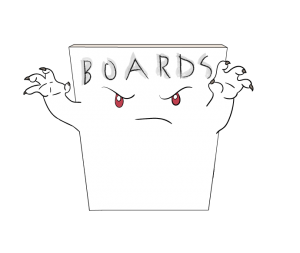 In addition to our new Instagram Pop Quiz, Med-Challenger offers even more free board review questions via our Question of the Week blogs, as well as our renowned Quick Quiz. Register for free online, call 1-800-676-0822 or email sales@chall.com for more information. The Quick Quiz is a fun way to get new board review Q&A, rank against your peers, & earn CME credit, every week. 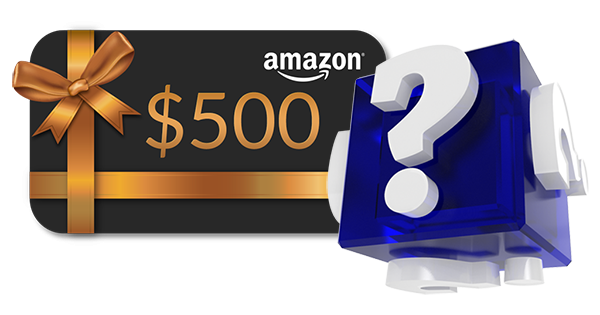 What’s better – Every time you complete a Med-Challenger Quick Quiz and you’ll be entered into our monthly $500 Amazon Gift Card drawing! No purchase necessary to play. All you need is a Med-Challenger account. 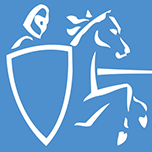 Med-Challenger has been producing high-quality medical education, board exam review, and CME credit courseware since 1991. In 2001, we began issuing a free board exam review question to the public as a free sample Q&A subscription. The board-style question was delivered via email with an answer page online. It was cutting edge at the time. As our client base and number of supported medical specialties grew, Med-Challenger began to issue a varied set of Q&A each week in an online quiz survey as a way to give more providers a better “test” of their general knowledge. The questions issued were (and will always be) fresh, accurate, and relevant. Over the next years, our subscriber count doubled and doubled again. However, as we were also pioneering some of today’s leading medical education tools and methods – adaptive assessment, guided remediation, and so on, we wanted to do more with this free medical education offering. 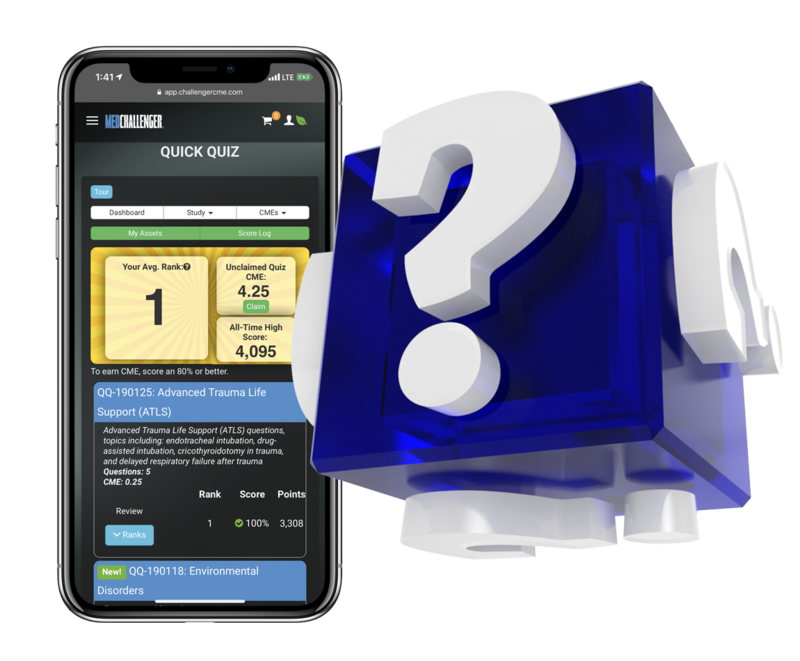 With newer technologies in hand, we brought interactive peer-to-peer competition and the ability to earn CME credits to the Med-Challenger Quick Quiz experience. So, today, our free board exam questions Quick Quiz is accessed via your online Med-Challenger account (100% free to create), as a standard account feature – and yes, we’ve added peer leaderboards, dynamic remediation, and the ability to earn CME credits with each weekly quiz. Stop the MOC pain. Go PRO. Cover your specialty needs once and for all with a Med-Challenger PRO bundle! 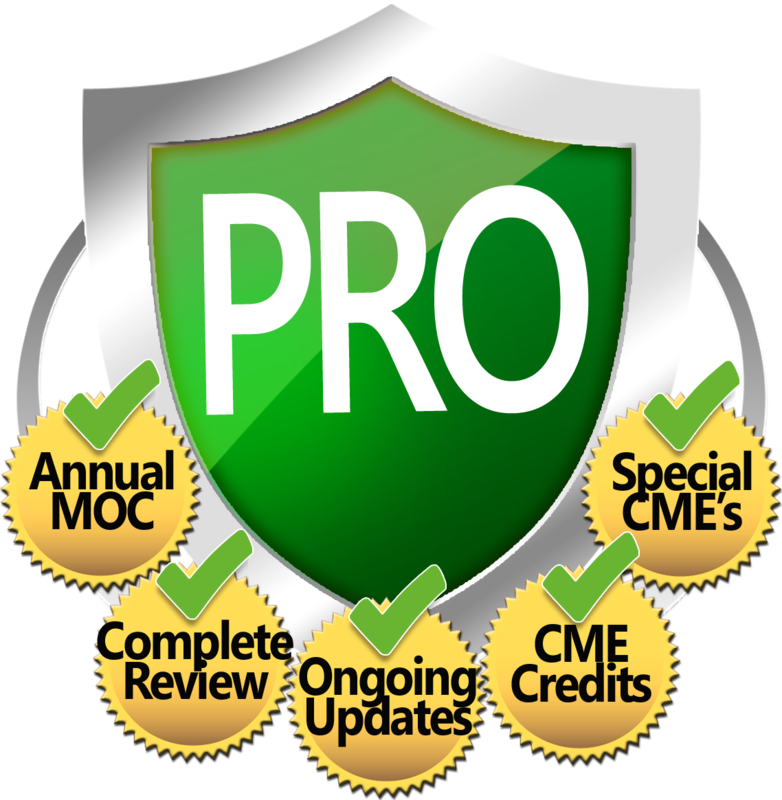 get your PRO with 2 yrs free access + a $1000 free Amazon gift card with a CME FLEX package. Select your PRO. Seclect your option. One-time purchase. Quality use of your CME budget. Ends 4/30. Current customer? Already own Med-Challenger products? Email sales@chall.com about special PRO and Library upgrade pricing. Play our CME Quick Quiz – 100% free to play each week! It's free board exam Q&A, every week - with CME credit! Top the leaderboard! No purchase is necessary to play or enter. Opt-out at any time. Each month, we'll pick a random winner from the active player pool! Ongoing updates and other utilities built in. Institutional training programs and healthcare groups everywhere use Med-Challenger for group training, remediation and quality improvement. No IT needs. No content labor. No reason to delay. Instant on.